Aniston came to fame as Rachel on the hit NBC comedy "Friends," which aired from 1994 to 2000. 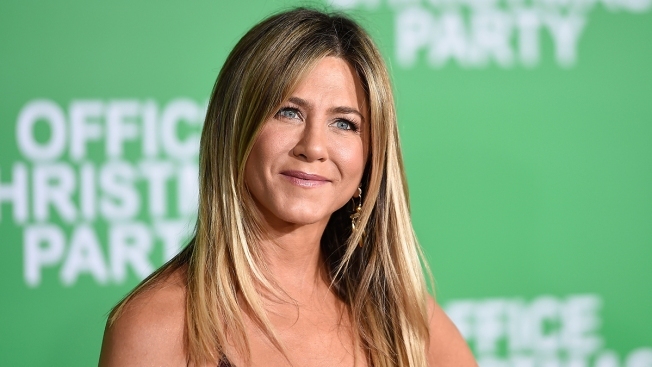 "Friends" star Jennifer Aniston is coming back to TV and she's partnering with Reese Witherspoon. The Apple streaming service said Wednesday the actresses will star in and produce a behind-the-scenes drama about a TV morning show. Aniston came to fame as Rachel on the hit NBC comedy "Friends," which aired from 1994 to 2000. She then focused on films, including "Office Space," ''Bruce Almighty" and "Marley & Me." The Oscar-winning Witherspoon made a TV splash last season with HBO's Emmy-winning series "Big Little Lies," which she starred in and produced with Nicole Kidman. Landing the buzzed-about project represents a coup for Apple, which didn't announce the show's title or release date. The series marks a TV reunion for its stars: Witherspoon and Aniston played sisters on an episode of "Friends."